You don’t inspect quality into a product. You have to build it in. KARMA quality system is rooted in the notion of Total Quality Management (TQM). Grounded on TQM, we build IQC, IPQC, FQC, and QA systems in the manufacturing process. forces test, salt spray test, etc. Accruing from 20 years of manufacturing experience, KARMA developed two unique internal standards for “S-curve road tests” and “Rigorous road tests” to augment the Durability Assessment. 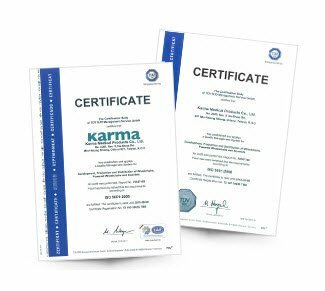 KARMA has received ISO 9001 Certification for many years. Well known for its rigorous standards, the German TUV send consultants to audit Karma’s quality systems annually. Utilizing our decades of manufacturing experiences and paying close attention to production, we produce each and every component by following the standard operating procedure (SOP) of the ISO 9001. 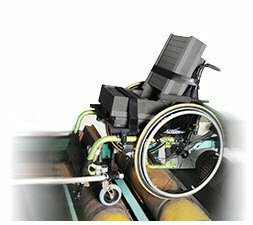 In spite of our dedication to producing quality wheelchairs, in the event that a customer is not completely satisfied, the voice or complaint of the customer will reach all the way to KARMA CEO. Karma has insisted on providing high customer satisfaction through this quality assurance program. “Listening to the voice of customers” is ingrained in KARMA’s DNA.